It is evident that this election has brought out strong feelings across the nation. Immediately following the election, we started to become aware of a disturbing rise in hate speech and acts all across the country, including most shockingly, within schools. Both teachers and students have been harassed and bullied on the basis of race, gender, sexual orientation and religion. The Winterhaven PTSA is deeply alarmed by these acts, and we denounce them. We will always strive to support our community, honor difference and celebrate diversity. We know that our children will grow and learn better in a community that always celebrates exactly who they are, without fear, and that our teachers will continue to thrive in their work when they know they are supported. We know that we’re part of a larger community, and will work to stand for respect and justice in all we do. We will continue to pursue, and expand these values. 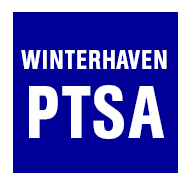 The PTSA wants to reiterate that Winterhaven strives to be safe, welcoming, and inclusive place for all students. Please know, students, parents, teachers and staff, that we will always have your back. With Thanksgiving this week and the season of giving ahead, I am grateful for the generous spirit of the Winterhaven Community. The initial response to the artist in residence funding for the the 8th Grade Rock Opera has been fantastic, as has support building for the Pledge Drive. Thank you to all those who have already, or will respond to the call in the coming weeks. I also offer a final thank you to James Avison and Ian Levear, for joining us at the community meeting last week with a great overview of the approach to math at Winterhaven from kindergarten through 8th grade. Staff Holiday Gift Fund – At this time of year, please take a moment to contribute to our Holiday gift fund to thank the hardworking staff and non-homeroom faculty whose dedication touches our children's lives in such a big way, but who typically don't receive the same holiday gifts, cards, and other appreciation throughout the year as our homeroom teachers – key difference makers like Ms. Dixon, Sharon Hatrak, Eugene our singing custodian, Lori Williams, or our wonderful Librarian GeorgeAnne. When every family puts a few dollars into the fund, we typically are able to get every member of the extended staff and non-homeroom faculty a small token of appreciation from the families at the school. Please leave cash or a check made out to Rebekah Folsom / Winterhaven PTSA in an envelope kept with Nancy in the office or send money by PayPal (https://www.paypal.me/rsatz). Dine out for Winterhaven - Mark your calendar! This next month – December 5th and 6th – we have a Dine Out for Winterhaven at Pastini’s on Division (2027 SE Division Street, Portland Oregon). Bring the family, have a lovely meal, drink a nice bottle of wine, and let Pastini’s give Winterhaven 50% of proceeds that come in that WHOLE DAY. You NEED to mention WINTERHAVEN when you’re there, but come on, that’s Fantastini!!! Portland is filled with wonderful family oriented restaurants that are willing to contribute to our school. We try to partner with one restaurant each month to help raise money for our children. Save the dinner dates of 1/11, 3/14 and find our entire schedule here on the site. Support for the Rock Opera A super HUGE thank you to all of you who jumped in to give to ensure that we are able to have the 8th Grade Rock Opera! WOW you all are super generous. We are already 66% of the way to our goal. Let’s make one final push to make sure our 8th graders get this amazing opportunity! Here's where you can get the full details, including how to donate. Chinook books – Do you have one yet? We are almost 95% of our way toward our budgeted goal!! FANTASTIC! If just 10 families bought an app or a book, we’d make our goal. That’s just too close to fail. Our cutoff date is MONDAY, November 28th so you have until then to let me know (rcordan@pewtrusts.org). Let’s do this! Variety Show: The annual Winterhaven Variety Show is happening this January. It can be a busy time of year, so we wanted to encourage students to start preparing their act now so that they can be ready for auditions the week after winter break. The Variety Show gives us a way to showcase creative and interesting things that the students enjoy doing. As always, we are looking for a VARIETY of acts to be in the show. Music, dance, comedy, skits, athletics, speech, novelty, magic...just to name a few. OPPORTUNITIES TO GET INVOLVED – We need you! Calling all Web Designers: Wouldn't you love to see our PTSA website go from OK to Amazing? Web designers, you know who you are. Please email admin@winterhavenschool.org if you'd like to be the person to take us to the next level! Community Events: Are you a party planner extraordinaire? Do you like to plan events? Community Events Coordinator needed: Partner with the PTSA Volunteer Chair to support several key events throughout the year like the Spring Carnival. If you are interested, please contact Kari Key at volunteer@winterhavenschool.org for more info. Variety Show Helpers: The annual Winterhaven Variety Show is coming up this January. We will be sending out some more information in a few weeks, but if you are interested in helping with auditions, stage crew, lights & sound, etc. we would love to hear from you. Most of the events happen after school and in the evening hours, so it's a great opportunity to help outside of school hours. Please email Kari at karijkey@gmail.com if you would like to be involved. This awesome community raised almost $600 at our Dine Out for Winterhaven at Pizzicato last month. Hurray for pizza! Hurray for all of you who dined out! We've also passed our halfway point on the Pledge Drive – Yippie! (So happy to do this instead of selling wrapping paper and cookie dough!) Our eternal gratitude goes to Nicole Cordan for tirelessly leading our fundraising efforts.